Analysts at Deutsche Bank downgraded Yelp Inc (NYSE: YELP) from Buy to Hold. The target price for Yelp has been lowered from $56 to $31. Yelp shares closed at $33.76 yesterday. Atlantic Pacific Crest Securities downgraded Baidu Inc (ADR) (NASDAQ: BIDU) from Overweight to Sector Weight. Baidu shares closed at $197.68 yesterday. Analysts at Citigroup downgraded KLA-Tencor Corp (NASDAQ: KLAC) from Neutral to Sell. KLA-Tencor shares closed at $51.04 yesterday. Argus Research downgraded Colfax Corp (NYSE: CFX) from Buy to Hold. Colfax shares closed at $38.60 yesterday. Analysts at BMO Capital downgraded United Natural Foods, Inc. (NASDAQ: UNFI) from Outperform to Market Perform. United Natural Foods shares closed at $46.12 yesterday. KeyBanc downgraded Baidu Inc (ADR) (NASDAQ: BIDU) from Overweight to Sector Weight. Baidu shares closed at $197.68 yesterday. 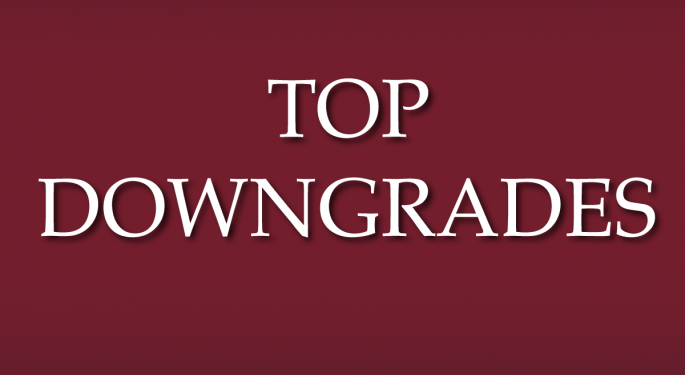 Analysts at Goldman Sachs downgraded Portland General Electric Company (NYSE: POR) from Buy to Neutral. The target price for Portland General Electric has been lowered from $40 to $36. Portland General Electric shares closed at $34.18 yesterday. Global Hunter downgraded PolyOne Corporation (NYSE: POL) from Buy to Accumulate. The target price for PolyOne has been lowered from $49 to $41. PolyOne shares closed at $34.00 yesterday. Needham downgraded Nimble Storage Inc (NYSE: NMBL) from Strong Buy to Buy. Nimble Storage shares closed at $27.42 yesterday. 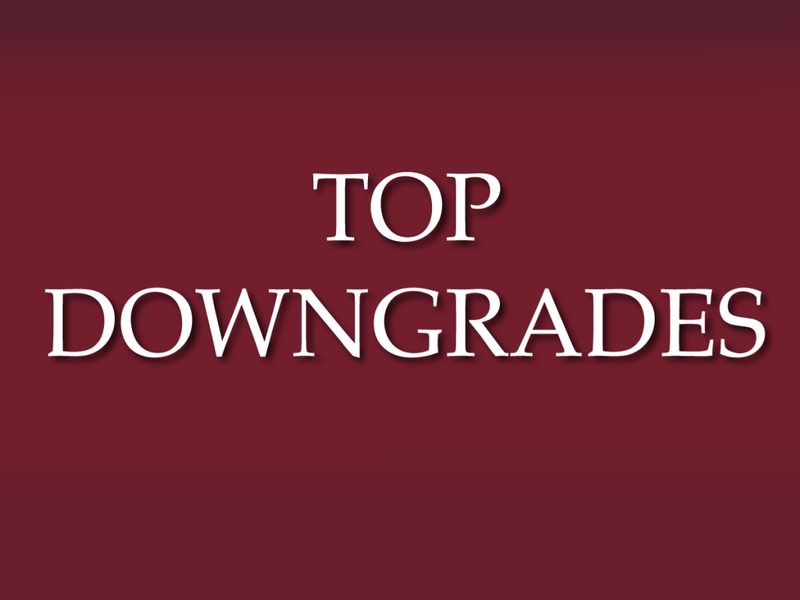 Analysts at JP Morgan downgraded Usa Compression Partners LP (NYSE: USAC) from Overweight to Neutral. The target price for USA Compression Partners has been lowered from $25 to $22. USA Compression Partners shares closed at $18.14 yesterday.